The famous portrait of a young beauty, who bears the name “Anthea” for many centuries, does not give an answer to the most important question: what kind of girl is depicted in the painting of a famous artist. 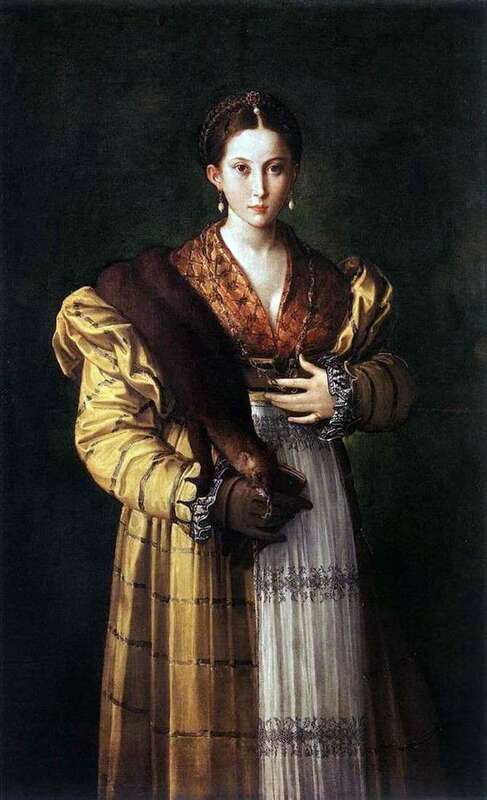 According to one version, Francesco Parmigianino was in love with the famous courtesan Antea, whom he met while staying in Rome, and it is she who is the face of this portrait. Elegant outfits made of expensive fabrics, girdles around the neck of fur and a lot of elegant jewels may indicate that these are only gifts from men who hope to get consent for closeness from a young girl. Famous art critics refute this romantic hypothesis, since these clothes and jewelry are not typical of the courtesans of the last century. The most reliable historical version says that the picture shows a young aristocratic woman Anteia, who is a distant relative of the artist. The hypnotic look of a very young girl fascinates, as if trying to tell us something. From historical sources it is known that this portrait was painted shortly before the wedding of Antea. On her face you can see a combination of mixed emotions, such as pride and dignity for accepting your own destiny, but at the same time there is a certain confusion before entering into marriage at such a young age, which most likely turned out to be based on calculation, not love. According to the latest, most boring version of the origin of the painting “Anthea”, there is an opinion that the young girl is just a collective image of the perfect beauty for Parmigianino. The fragile face, snow-white skin, black big eyes, elegant neck, refined figure, all these features look slightly unnatural on an empty black background, which is why there are doubts whether this girl really existed.